But why part 2 already? 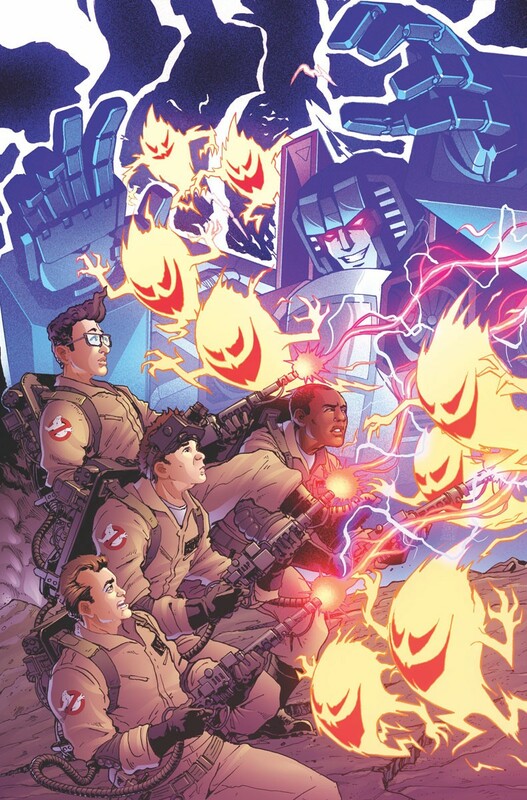 Tom Walts, Creative Development and Senior Editor for IDW Publishing, continues to be a boundless source of teases and new information for upcoming Transformers related stories, and today he brings to us an unlettered page from the upcoming Transformers x Ghostbusters crossover! 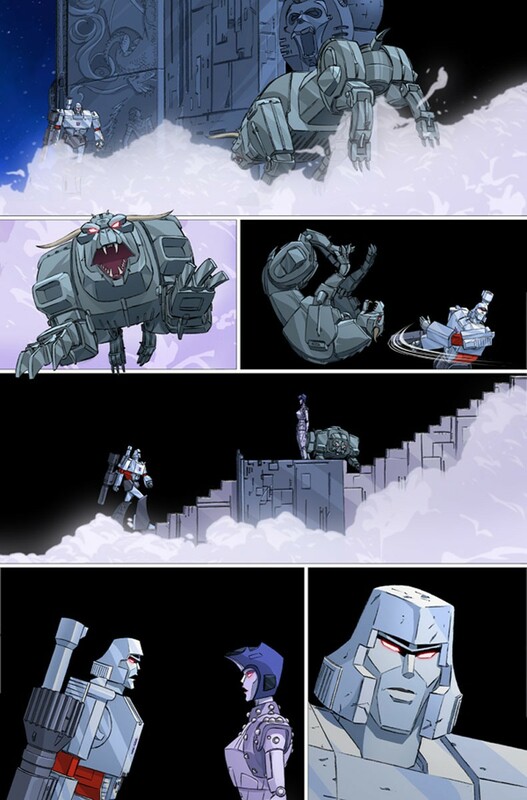 In this one page preview, we get a glimpse of Gozer the Destructor arriving on Cybertron, and of course the very first person Gozer meets is Megatron! Now if you have seen a Ghostbusters movie and a Transformers show in general, you have an idea how this might go. 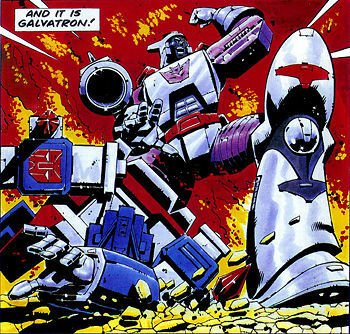 Is Megatron a God? 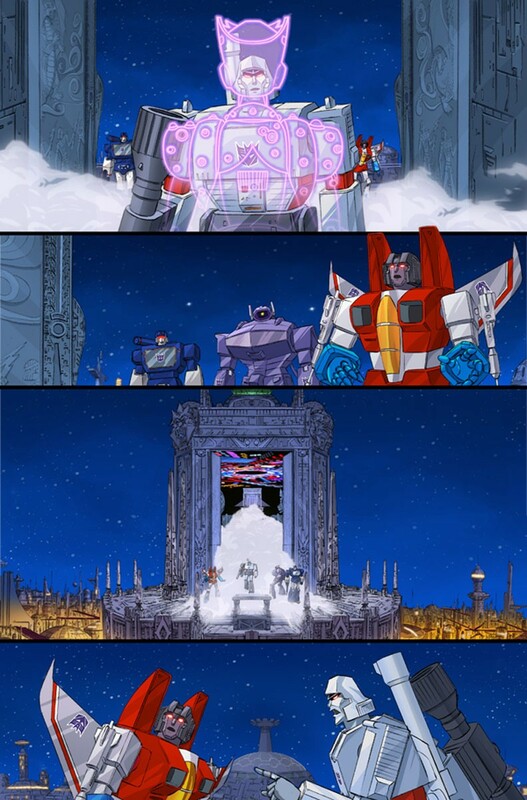 Will Starscream make it out of this without becoming a ghost? Who will Gozer take the form of here? An Optimus Prime perhaps, Megatron's worst nightmare? Let us know what you think of the series and of the page below! "Are you a... god?" It's #Megatron versus #Gozer in #Transformers/#Ghostbusters #GhostsOfCybertron #1 coming to comic-book stores everywhere in June! Brought to you from across the universe by @erikburnham @dannyschoening #LuisAntonioDelgado @IDWPublishing @Hasbro & #GhostCorps! You know, I always thought Horri-Bull's alt was based on the Terror Dogs, so seeing the metal versions here really makes this whole concept click. Really looking forward to this! If a woman asks if you're a god... You say YES! Motto: "Forced peace is tyranny unto itself." Just this page alone makes me want to buy this TPB right away, it’s perfect. Its got that Devastation style that’s perfectly G1, but perfect for the modern era. Really hope they fuse the Quintesson backstory with the Zuul legend into something interesting and fitting for both universes. After Star Trek and now this, I really hope they keep making more TF crossovers with other franchises. Transformers is one of those franchises where it’s very easy and possible to crossover with pretty much whatever universe you want. I’d be surprised to hear one where that wouldn’t work. Bumblevivisector wrote: You know, I always thought Horri-Bull's alt was based on the Terror Dogs, so seeing the metal versions here really makes this whole concept click. Really looking forward to this! This is what I was thinking. Horri-Bull (now Terri-Bull, fittingly) makes the perfect Terror Dog. I'm on board with this concept now. Stormshot_Prime wrote: Just this page alone makes me want to buy this TPB right away, it’s perfect. Its got that Devastation style that’s perfectly G1, but perfect for the modern era. Really hope they fuse the Quintesson backstory with the Zuul legend into something interesting and fitting for both universes. After Star Trek and now this, I really hope they keep making more TF crossovers with other franchises. Transformers is one of those franchises where it’s very easy and possible to crossover with pretty much whatever universe you want. I’d be surprised to hear one where that wouldn’t work. I'm with you on all points! The important one for this is that I really wanna read this book now! Looks nice but I'll pass. I have no interest in seeing Sunbow, again. 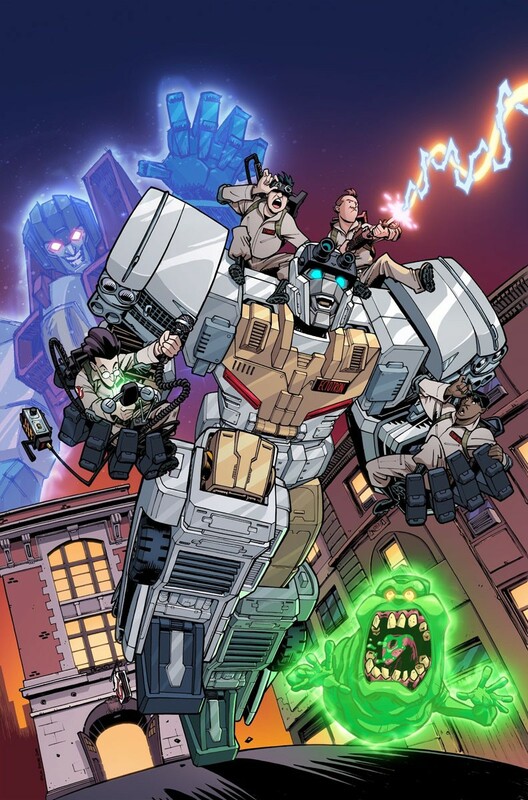 Thanks to the fine folks over at Newsarama, we have word of more non-lettered preview pages of the upcoming Transformers / Ghostbusters crossover comic! 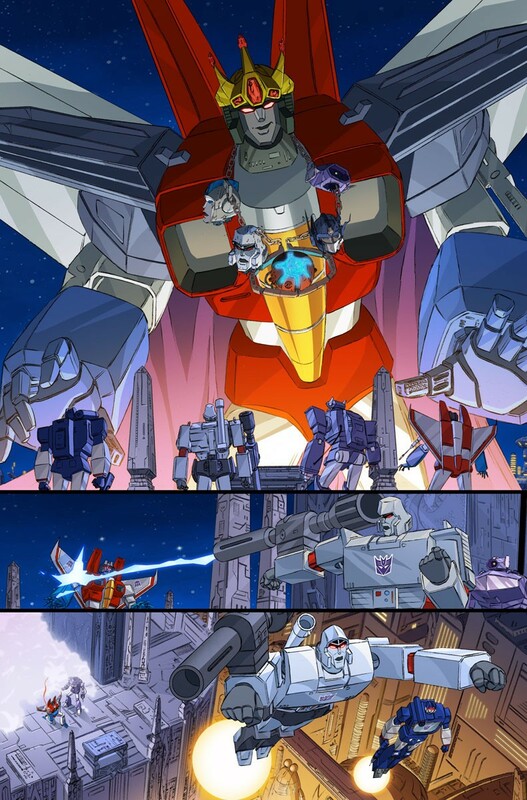 In these new preview pages, we get to see the immediate aftermath of Megatron and Gozer's meeting, which involves some violence against kind little demon dog thingies and then presumably a threat, right before a giant Starscream appears in the sky, with the heads of his enemies affixed as a necklace! Megatron proceeds to blast the real Starscream before taking off into the sky. Along with these new pages, we also get a new cover, showcasing Starscream's ghost leading a hoard of Kremzeek against the Ghostbusters. Check it out below, and let us know what you think in the comments section below! Anyone else see the intro ti the '86 movie behind the door? I tried to think of the most harmless thing. Something I loved from my childhood. Something that could never ever possibly destroy us. Mr. Starscream! 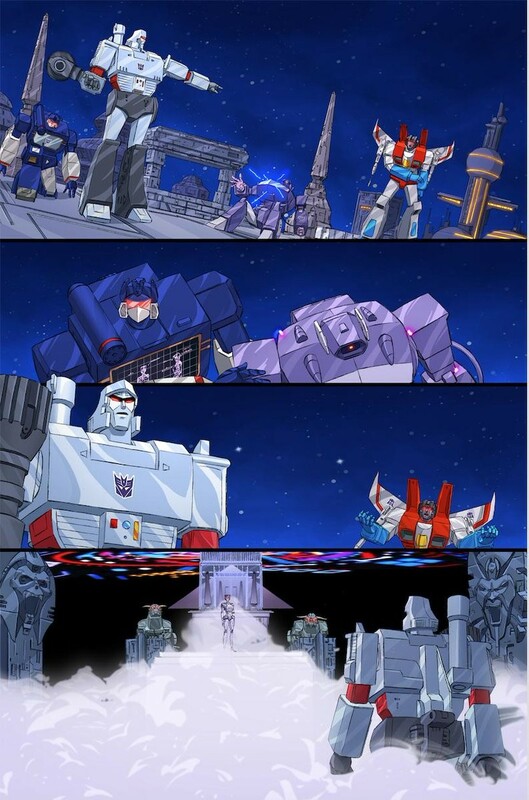 Nah, that giant Starscream is exactly what Megatron fears most! perhaps, but If i recall from a book i've read, Gozer warps your choice to their ideal form just in case you thought you could trick them. Which book was that, Tobin’s Spirit Guide? M: We didn’t choose anything! Soundwave, did you choose anything? SH: My mind is a steel fortress. M: I didn’t choose anything! SS: It just popped in! I agree with this. 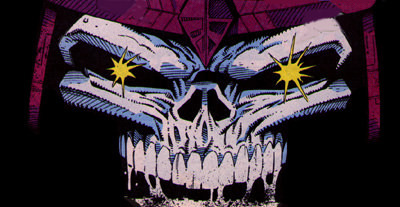 In the panel before Megatron is pointing at Starscream like it's his fault and then shoots him the arm. Decepticon Stryker wrote: Anyone else see the intro ti the '86 movie behind the door? Yeah, it's weird, but it sure looks like it. Shouldn't have thought about Unicron in the presence of Gozer! Sorry, double post due to finger slip. snavej wrote: Sorry, double post due to finger slip. lol I read this as "finger snap" and was like Thanos is playing with the Transformers universe now? On topic: I really am looking forward to this and the more I see i'm like omg its going to be so cool!